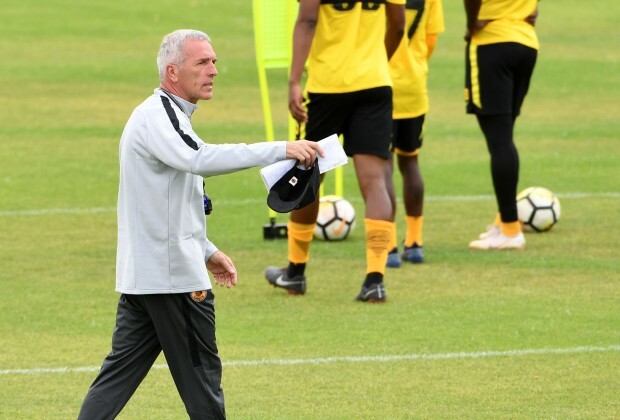 Kaizer Chiefs, whose 'Jekyll and Hyde' performance of late has left coach Ernst Middendorp fuming, are in for a bruising mental battle in their remaining five Absa Premiership fixtures. Loosely interpreted, the German-born mentor has questioned whether Amakhosi players know their priorities. The one week, he said, they produce a stunning display to beat Cape Town City to progress to the last four of the Nedbank Cup only to go down to a struggling Baroka FC outfit, at home, a few days later. “I warned the players during the week that it was necessary to have the same good spirit and attitude for the Baroka game as we had against Cape Town City,” Middendorp told the media following the 1-0 narrow defeat to Bakgaga on Saturday at FNB Stadium. Chiefs players have downed tools when it comes to giving it their all in whatever faint hopes remain of their title chase, that much is evident. Amakhosi, currently in seventh place, travel to Thohoyandou on Saturday afternoon to face Black Leopards – and it is there where Middendorp will need a reaction, even if it is to show that the club can still finish inside the Top 8. It is now almost four years since the Glamour Boys won a trophy and the impressive performance in the 2-0 win over City last month is an indicator that the players have put all their eggs in the Nedbank Cup basket. Chiefs are away to Chippa United on April 20 in the semi-finals.